May 2017 is looking to be a busy month for the Cairo art world, and these three photography exhibitions are at the top of our list of Must-See events in the city this month. Not only are the shows clear proof of the incredible artistic talent of Cairenes; but their themes and inspirations are all somehow related to this complex and begrudgingly beautiful city. Opening this April 30th, the Everyday Egypt exhibition (hosted by Beit El Sura in Maadi) will showcase stunning street photographs of the faces and spaces that make this country so photogenic. 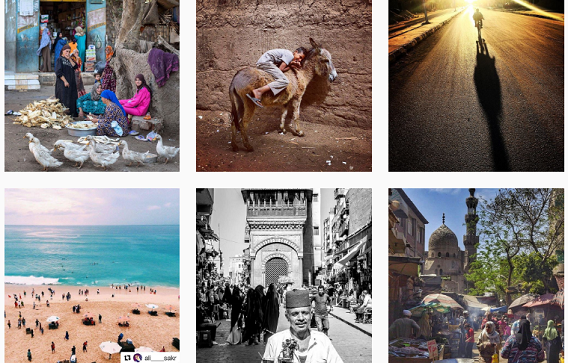 If the name sounds familiar, then it’s likely you follow their amazing Instagram account: the whole project was founded in 2014 by Belgian photographer, Tinne Van Loon, and the Instagram account curates and collects visually intriguing images from every day walks of life from around Egypt. This particular show is organised by acclaimed pro photographers, Ahmed Hayman and Roger Anis, and will include images by sixteen local photographers, both amateur and professional. Whether it’s rural life portraits or city slum areas, Everyday Egypt’s contributors find beauty in everything, and we’re sure you’ll walk away with the same newfound love for this country. The exhibition runs until May 13th, and is open daily from 6PM onwards. Beit El Sura is located at 30, Street 15, Maadi. Over in Zamalek and also opening on April 30th, Kintsugi is an intriguing group exhibition at SOMA Art Gallery featuring the images and embroidery of four artists, including fabulous photographers, Karim Hayawan, Nour Kamel, Nelly El Sharkawy, and embroidery artist, Mariam Faried. Kintsugi is a Japanese technique whereby gold, silver and platinum are used to repair broken ceramics and pottery. This inspired the four artists to present visuals that explore the concept of perfection versus flawed beauty. “The artists invite us to admire and respect the subtle beauty of flawed objects as part of the history of the subject: calling us to appreciate imperfection, to believe in and honor the process that makes the subject more interesting,” states the exhibition brief. Seeing as we’re already huge fans of Karim and Nour, we can’t wait to check this show out and see how they’ve translated their love for the streets and peaks of Cairo into a whimsical, intricate exploration of imperfection and beauty. The exhibition will run daily until May 15th from noon till 9PM (closed Fridays). SOMA is located at 14, Mohamed El Merashli Street, Zamalek. 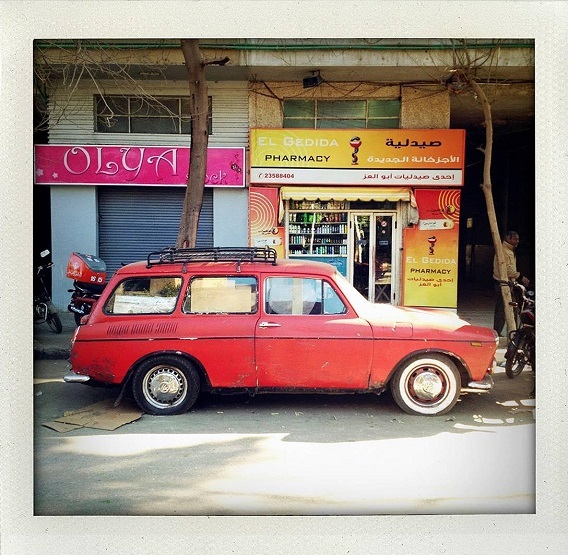 Last but not least, Ghost Cars of Cairo is a solo photography exhibition by acclaimed photographer, Steve Double, whose seven years in Cairo have led him to develop a fascination for photographing abandoned cars on the city’s streets. The exhibit features 60 photographs and over 50 audio recordings of Double’s friends talking about good and bad car memories. If you’re a fan of vintage cars and can’t resist Cairo nostalgia, this exhibit is definitely for you as it will take you down memory lane. Held until May 31 from 11AM to 9PM, the exhibition will be held at Arcade Gallery on 25, Orabi Street, Maadi. For further information, contact their Facebook page.